Coilover Eye to Eye Measurement at Ride Height 15" 16" 17" 18" 19" 20" 21" 22" 23" 24" 25" 26" 27" 28" 29" 30"
King coil-over shocks, provide the highest level of performance damping and suspension control for your vehicle. 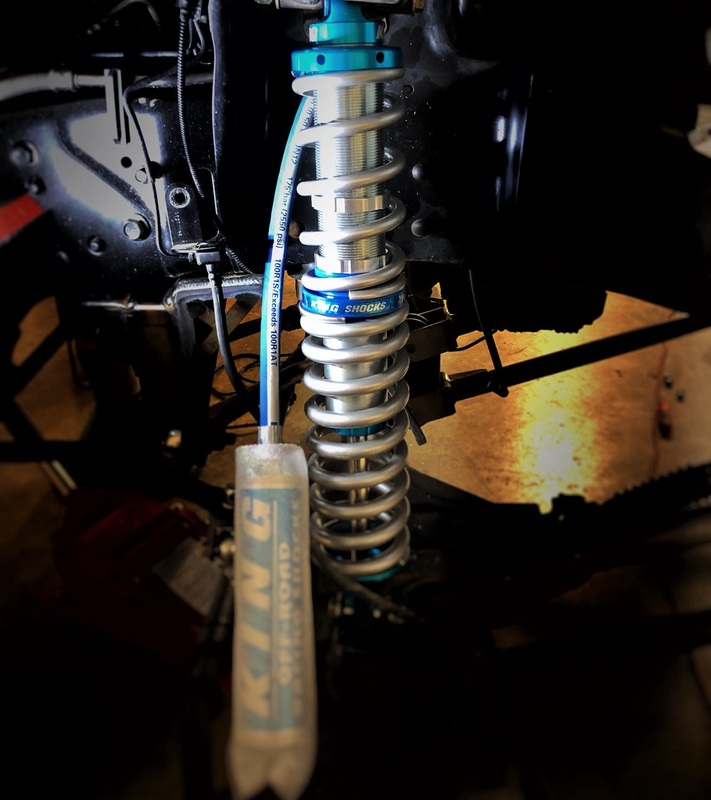 Their design allows for a space saving solution to your suspension mounting needs as they incorporate both the coil spring and shock absorber in one package. They are used as a primary suspension member to carry the weight of the vehicle and to maintain ride height while providing the adjustable valving and high quality ride characteristics King is famous for. All of our coil over shocks are custom made for your application. Kings strict adherence to precision tolerances and quality materials insure you will own the finest coil over shocks available. Nothing rides like King. Coilover conversion mounts not included but must be used to mount these! We have complete coilover conversion packages with everything you need as well! Please see our related items for these if you don't already have them. These come setup for 1/2" mounting bolt with a 1.5" mounting width standard. Custom configurations may be available, please contact us for more info! The selection for sizing is the measurement from center of mounting bolt to center of mounting bolt with the truck sitting at ride height. We set them up to be as close as possible to centered in the overall travel at this height. This might not always be exact depending on the height and the available configurations but we will get it as close as possible with one of the 17 various we have instock! THESE ARE CUSTOM BUILT FOR US BY KING TO OUR SPECS! These are not generically valved coilovers! Upon ordering, one of our sales reps will contact you and find out more about your application and how these are being used to ensure you get the correct configuration for your needs! Most heights and configurations will run a dual rate combo using silver Eibach coils. Some configurations might be single rate or use blue King coils if the ideal rate is not available from Eibach. If you have questions, just ask! We recommend these to be paired with a matching set of King rear shocks for a proper balance and ultimate ride improvement.